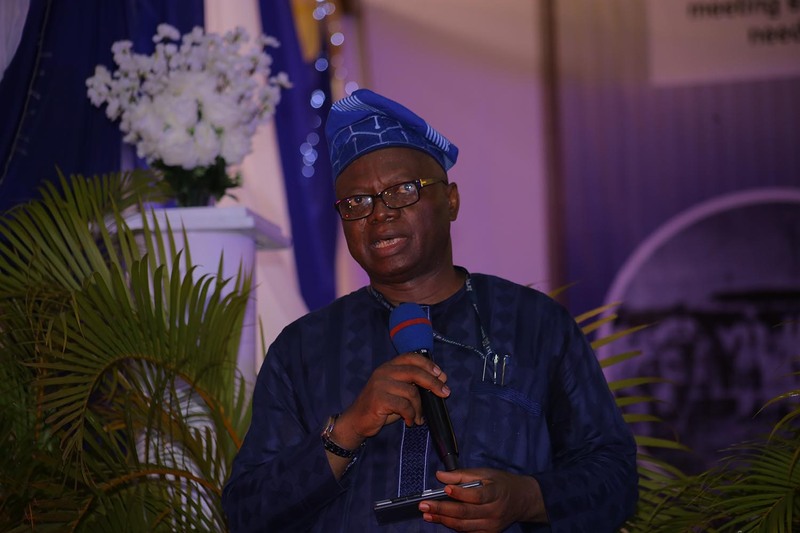 The Chairman of Nosak Group, Dr. Toni Ogunbor recently received the ‘Life Time Achievement Award’ from his Alma Mater, the premier University of Ibadan. The award recognised his tremendous achievements and contributions in the nation’s economy at a special occasion to mark the 70th anniversary of the institution. 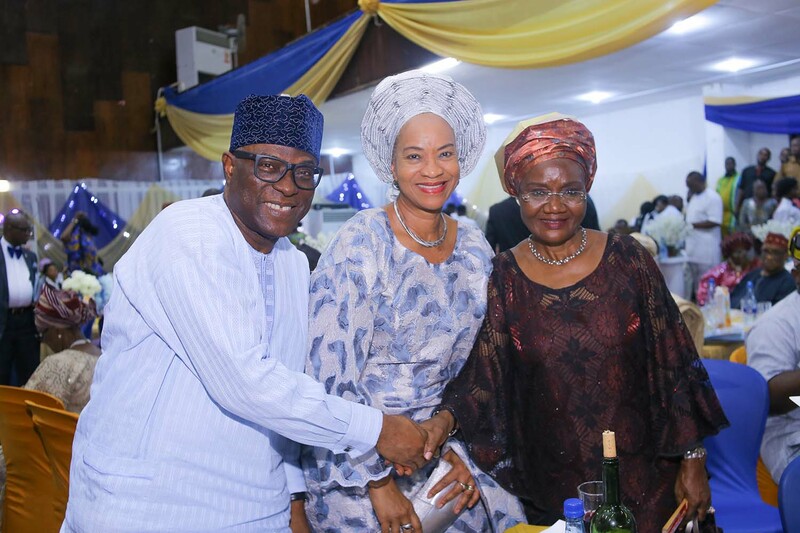 The investiture which held at the Trenchard Hall of the Premier University was tagged “Lifetime Achievement Awards/Night of Honour” as the grand finale of activities marking the 70th anniversary of the institution (1948 – 2018). 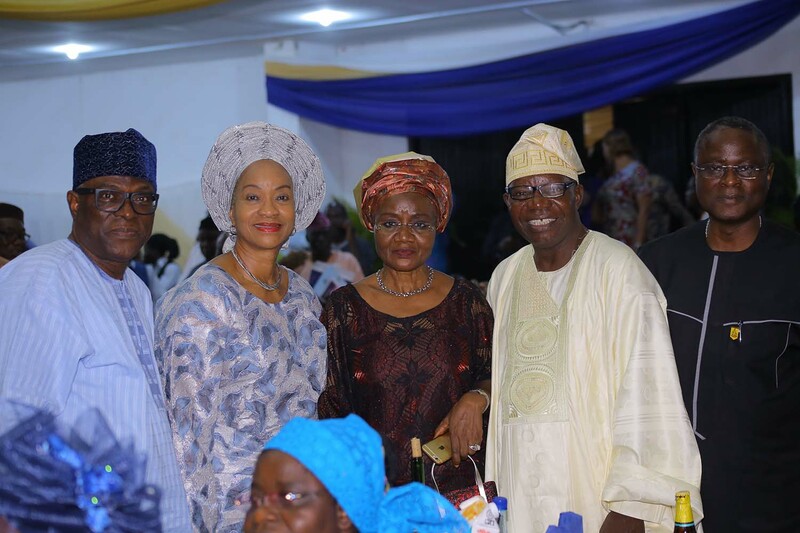 It was used to celebrate and honour alumni members who have contributed immensely to nation building and have distinguished themselves as worthy ambassadors of the University. 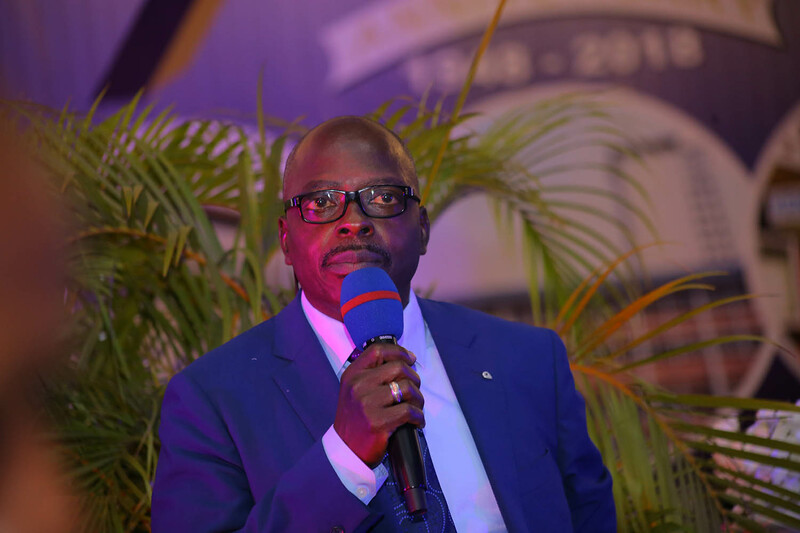 Speaking during the award night, which was the high point of the week-long 70th anniversary celebrations, the Vice Chancellor, Prof. A.I. 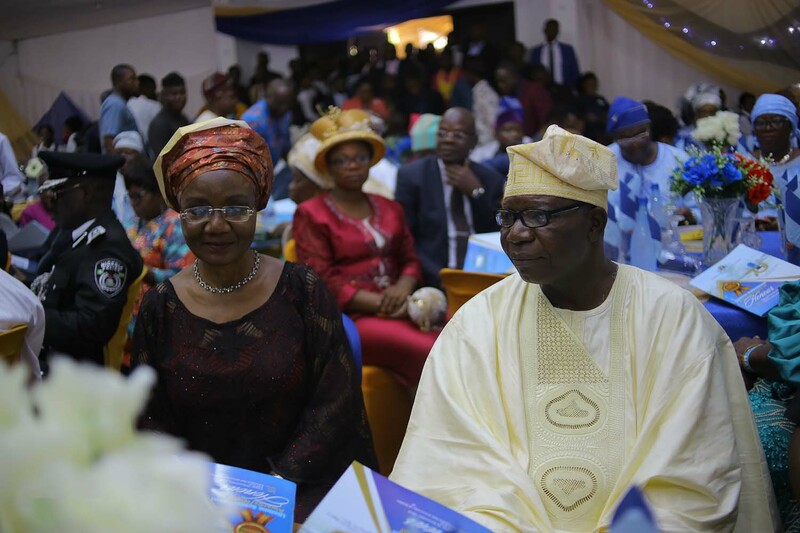 Olayinka, said the awardees were carefully selected for their respective landmark achievements in various fields of endeavours and contributions to nation building. “They have proven to be good ambassador of the University and we are glad to recognise them”, he said. 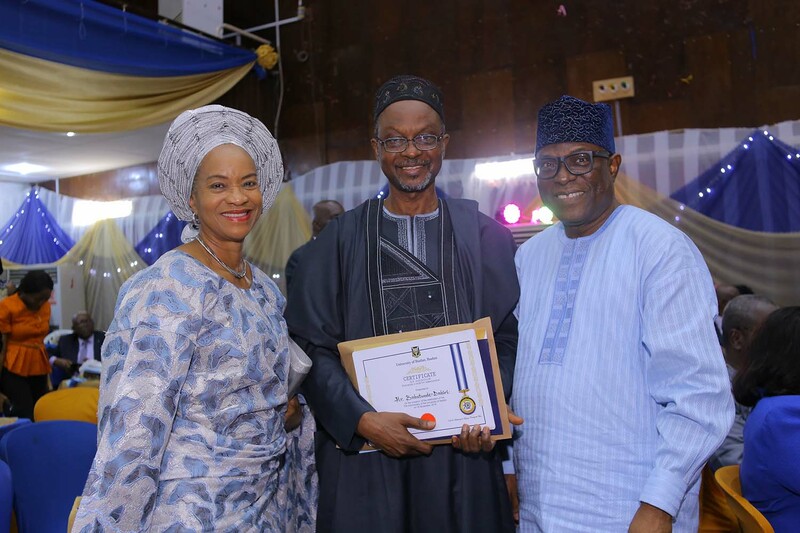 Receiving the award, Dr. Toni Ogunbor expressed his heart felt gratitude to the management of the University for celebrating the landmark achievement of the institution and keeping alive the high standards which will continue to drive excellence in the education sector. “I count myself very privileged to witness this special occasion of UI at 70 and it is an honour to receive this award”, he stated. 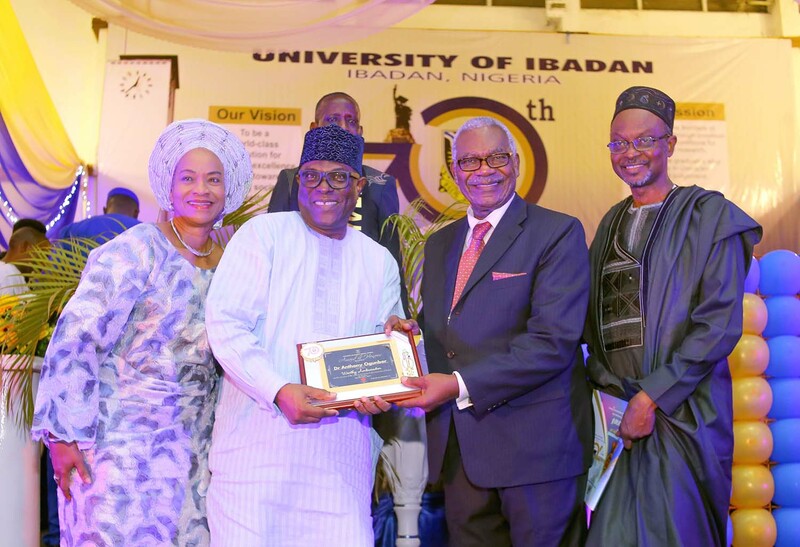 He continued, “The significance of this award encourages me as a true ambassador to continue to sustain the legacy, raise the bar and support the UI heritage as education remains the bedrock of the society. This in turn opens the society to the world and further drives development across board”. 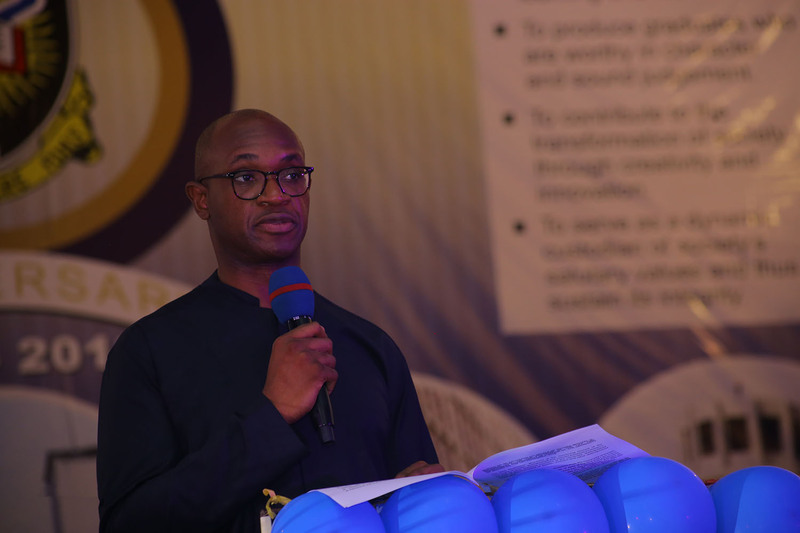 He dedicated the award to all entrepreneurs currently working hard to ensure that there are jobs for Nigerians while contributing to nation building and the development of the Nigerian economy. 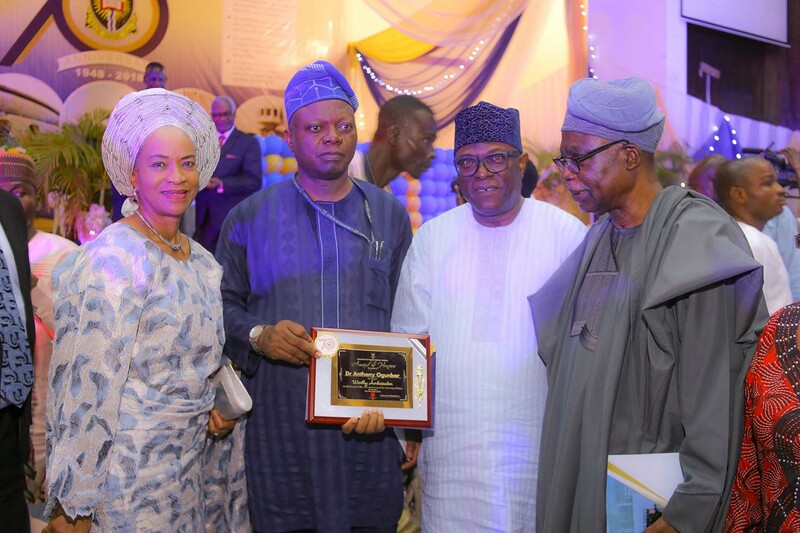 Other recipients of the awards include Prof. Ademola Tayo, President/Vice-Chancellor of Babcock University; Prof. Adeniyi Osuntogun, Former Vice-Chancellor, Obafemi Awolowo University; Chief Ajibola Ogunshola, Former Chairman of PUNCH Nigeria Limited and Chairman of Continental Reinsurance Plc; Mr. Olukayode Pitan, Managing Director/Chief Executive Officer of the Bank of Industry; Mr. Felix Ohiwerei, Chairman of ARM Holding Company Limited; Dr Alex Izinyon, SAN; Mr. 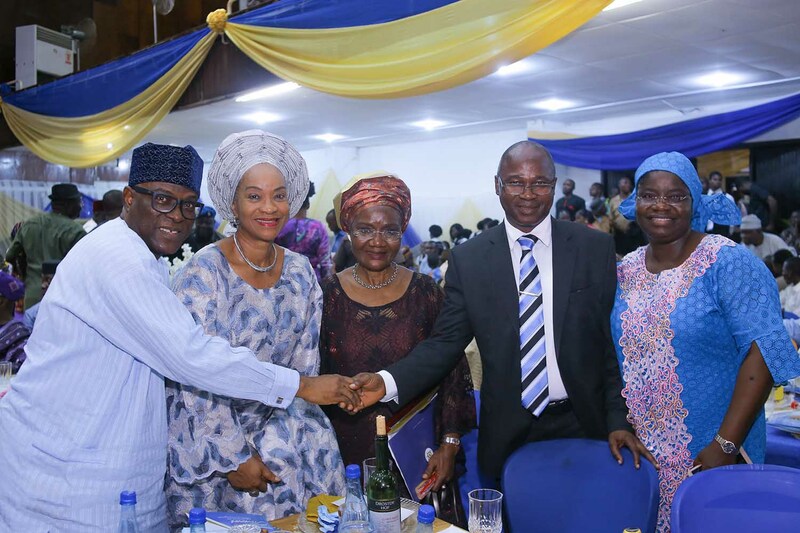 Basil Omiyi, Chairman of Stanbic IBTC Holdings Plc; Dr. Adesola Adeduntan, GMD of First Bank Plc; Mr J. Moyo Ajekigbe, Chairman of FrieslandCapmina WAMCO Nigeria Plc, Prince Rotimi Agunsoye, Former Lagos State Commissioner of Local Government and Chieftaincy Affairs; Mrs. Sola David-Borha, Chairman at Stanbic IBTC Stockbrokers Ltd.; Sir Remi Omotoso, Chairman of Greenwich Trust Group Nigeria; Adebayo Adenipekun, SAN; Prof. Tunji Olaopa, Executive Vice Chairman of Ibadan School of Government and Public Policy; Dr. Adesina Fagbenro-Byron, Former Governance Adviser with the United Kingdom’s Department for International Development (DFID); Ambassador Folake Marcus-Bello, Former Nigeria’s Ambassador to Malawi and Zambia; Vice-Chancellor, Crawford University, Prof. Rotimi Ajayi; Prof. Saida Mabadeje who was the first female PhD holder produced by UI in 1963 amongst others. Nosak Group is a diversified business group with interests in key sectors of the Nigerian economy which include agriculture, manufacturing, international trade, logistics, technology, and retail. The Group also offers services in real estate, leasing and insurance with a network of local and international alliances.